So, once upon a time, after I graduated from college in 2007, I heard about a blog from a friend. 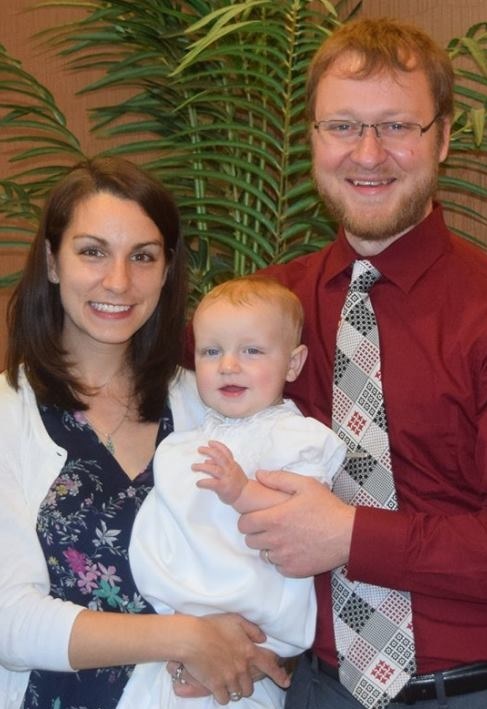 She said Money Saving Mom was written by a young Christian woman named Crystal, and on it I could learn about how to get free toiletries at CVS through something called Extra Care Bucks. So even though I wasn’t a mom, I was just a wee bit intrigued… seeing as I was starting my first job and wasn’t anticipating having tons of money to blow. It wasn’t until 2008 that I really got into the drugstore game, as it’s called, and it wasn’t until Ben and I were married the following year where I really understood the benefits of being meticulous in rolling store rewards so as to stretch a budget as far as possible. I was hooked–and there was no turning back. Since 2008, I have hardly purchased any toiletries, dental care products, school supplies, or other drugstore items for full price [or even close to it]. Pretty crazy, huh? The drugstore game takes so little work–just cutting coupons from the Sunday paper, and looking up deals that are posted on MSM’s blog, and going to the store of course–that to me, it is totally worth it. My frugality [and time spent] has allowed us to spend extra money on things that our grad school/young professional budget would otherwise not allow for: pricy Greek yogurt, extensive selection of herbs/spices, some organic foods, etc. 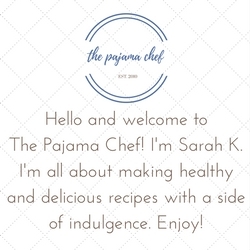 There are a lot of other great things posted on Crystal’s blog as well, including free samples you can sign up for, links to hot coupons, and series where she inspires readers to save money in many different ways. So when I heard that she was writing a book, The Money Saving Mom’s Budget, and offering copies to bloggers for review, I was psyched. This book is not just a copy of her blog–though it does reiterate much of Crystal’s philosophy about spending, saving, and paying off debt. This book is a great mix of practical tips and inspiration to get out of debt [if you have it] or to work to avoid it by living a frugal lifestyle. Crystal does a great job of outlining specific steps to take to move towards a workable budget and providing reasons why this is important–even though this is not a belief many Americans have. One of my favorite chapters was chapter seven, where Crystal provides 25 tips for saving on groceries without using coupons. By teaching ourselves to use less than what the companies tell us we “need” to use, eat meatless more often, look for seasonal produce, and other strategies, grocery bills go down as habits change. So if you are looking to improve your finances in 2012, I highly suggest you check out Money Saving Mom’s blog and new book. In order to go along with such a fabulous book, I thought it was only appropriate to share a frugal recipe… and what is more frugal than beans? Especially cooking dried beans? I mean, how perfect is this? Though I do not necessarily put “beans and rice” on my menu plans, it’s honestly a meal we eat several times a week–for a quick work lunch, for a “leftover” night, for those nights where I just don’t feel like cooking. 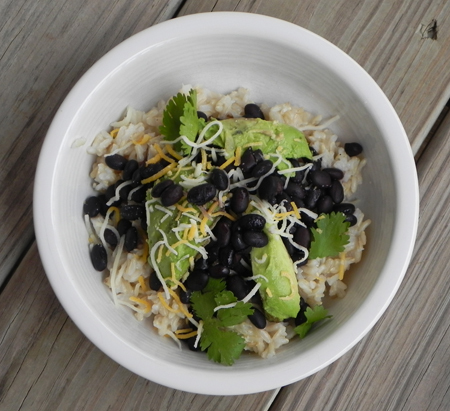 We usually make rice and beans bowls consisting of some combination of brown rice, black beans, some Mexican-style seasonings [garlic, oregano, cayenne pepper, cumin, cilantro], avocado, bell peppers, spinach, salsa, and cheese. It’s easy, filling, healthy, and inexpensive, and while it wasn’t a meal I grew up eating, it is now one that I love. We used to make these bowls with canned black beans, but I had heard so many good things about the flavor of dried beans that I wanted to try them. The first time I made dried beans I tried the old “soak and cook on the stove f-o-r-eva] method. The second time, I knew there had to be a better way. So using the beauty of google, I found out that it was possible to cook black beans in the oven in hardly any time at all. It is so easy, and so tasty, that even though it isn’t much of a recipe [more like a cooking method], I just had to share it. I love making the beans en masse and then freezing some for the future. They taste so much better than the canned variety and contain much less sodium too. If you haven’t tried to make dried black beans before, or have had a lackluster experience, then try it this way–you won’t regret it. Preheat oven to 325. Rinse and sort the black beans, picking out any pebbles or broken beans. 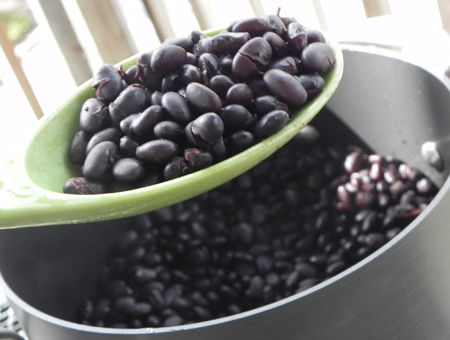 Place beans in a 3+ quart Dutch oven or heavy pot with a tight-fitting lid. Add 1-2 teaspoons salt and then fill with cold water, covering the beans by one inch. Place in oven and cook for 75 minutes, then remove and stir. If the beans are tender enough, they are done; if not, return to the oven [with the addition of some hot water if they seem to be drying out] for 15 minutes at a time until they are. This process should take no longer than 2 hours total. Store in the refrigerator, tightly covered, for up to one week, freezing what you will not use. I usually freeze leftover black beans in quart size freezer bags by the 1 3/4 cup increments [approximately 15 ounces by volume] so that I can easily pull a bag from the freezer for recipes. what an interesting way to cook beans. never heard of it before. i got a pressure cooker for xmas and i can’t wait to try cooking my next batch of blackbeans in it! You are killing me with deliciousness! I’ve never heard of the oven method for cooking beans–cool! I’ve been using my crockpot, which I love, but it does take several hours. I am going to have to try this out! Black beans are so budget friendly. We eat black bean burgers very often in our house! Wow, what a great method for cooking beans! They DO take forever on the stove, plus I feel like I’m constantly watching to see when they’ll be done (which makes the process feel even longer). I’ll have to use your oven method–I’m glad you posted this! Black beans are awesome. Exactly! It’s like watching a pot boil… The oven is way better! I hope you like this method–I find it *so *much easier!